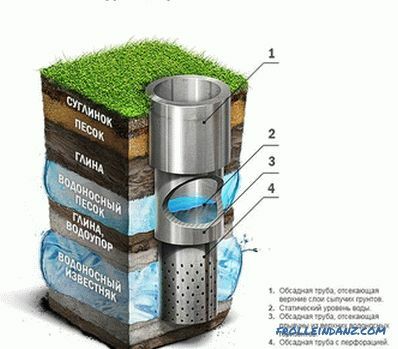 In most cases, a well is made for the construction of an autonomous water supply at a dacha. So that she can give clean water for a long time, care should be taken to prepare the filter for the well. It will be immersed in the aquifer, so its quality must be appropriate. 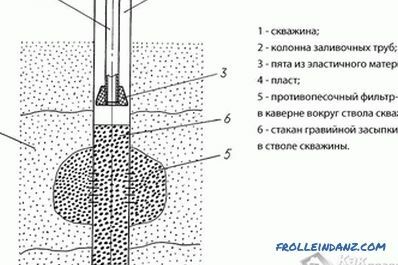 In this article we will explain how to make a filter for the well with your own hands. Filter for well. What is it and what are the types? As regards the last section, large particles accumulate in the sump. It is located at the very bottom of the trunk. 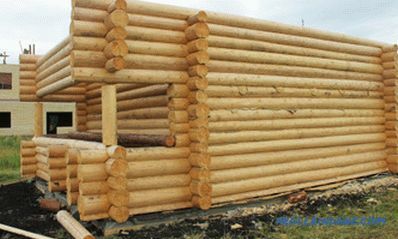 Steel pipe of appropriate diameter. 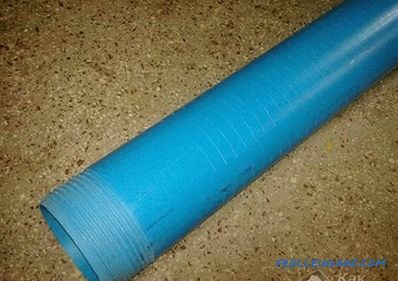 In some cases, the use of plastic pipes is allowed, but it is important that the plastic is food grade. Drills for metal. 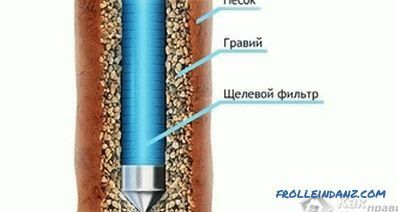 The diameter of the drill should be selected according to the size of the granules that predominate in the soil. 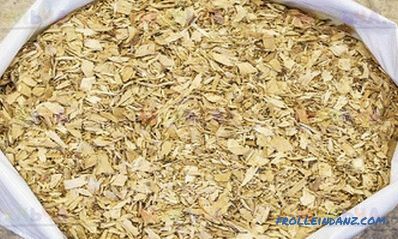 Grid selection can be performed by sieving sand from an aquifer. So, a grid that passes 50% of the sand will be the most suitable. Measure the length of the sump. Positioning the pipe on a flat surface, mark it on it. 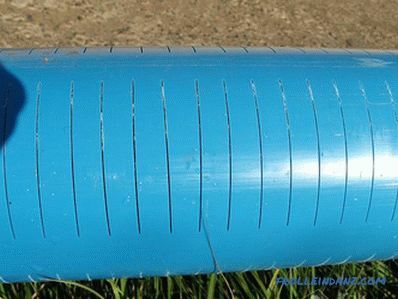 The perforated area should be 25% of the total pipe length. Next, the holes are made. From the edge of the pipe one meter recedes. Between each hole should be an interval of 1-2 cm. Holes must be drilled at an angle of 30 ° -60 °. Angle direction from bottom to top. Every sharp edge should be carefully cleaned. Lightly knock the product so that there are no metal shavings inside and outside. In the next step, close the bottom of the pipe with a wooden plug. To prevent the holes from clogging, the pipe must be turned into a net. So, the perforated filter for the well is ready! If in your case a rock predominates in the well that is prone to collapse, then a slot filter will be the best option. Its main feature is that it has sufficient bandwidth. 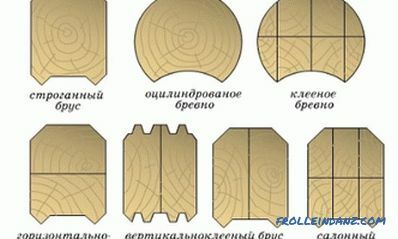 On top of the product there is no deaf zone, and the area of ​​the gap exceeds the area of ​​the hole. To be objective, this design has one drawback. The slotted filter has a slight bending strength. For this reason, in the process of its manufacture, it is necessary to create stiffening belts that will not have perforations. 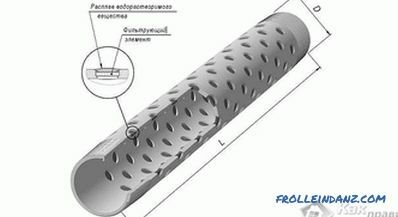 The principle of manufacturing a slotted filter is similar to the principle of manufacturing a perforated filter. The slots must be made in the zone order or in chess. The size of the gap is determined by the diameter of the granules, which predominate in the composition of the rock. As in the first case, the pipe must be wound with a brass mesh of brass weaving. Preliminarily, with the help of a grinder and a cutting wheel, make slots in the pipe. 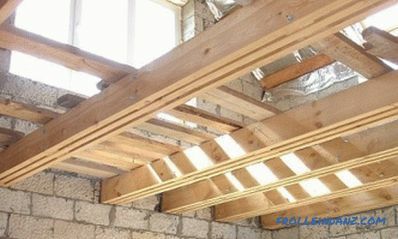 Before you lay the grid on the pipe, it is necessary to wind the wire in 2 cm increments in a spiral. It is recommended to solder the wire at a distance of 0.5 meters, which will allow you to make a rigid structure.The self-made slotted filter, made by this technology, is quite durable and has good throughput. For better structural strength, the mesh can be soldered to the wire. The hole for the well needs to be drilled with a larger diameter. Next, gravel is calibrated and matched. The gravel fraction must be the same size. Then the well is filled with gravel, the layer of which should be 5 cm thick. 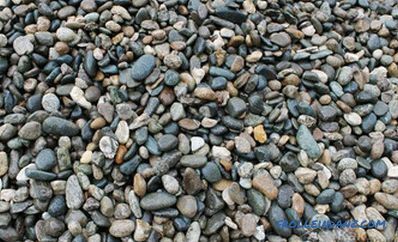 The average size of rock fractions should be less than ten times the gravel fractions. The gravel filtration system is ready for use.